How to keep Kodi windows always on top of other windows? Can I have always on top Kodi windows now? To start, if you want to ensure that an Always on top Kodi window is visible, head to System -> Settings -> System -> Video Output. 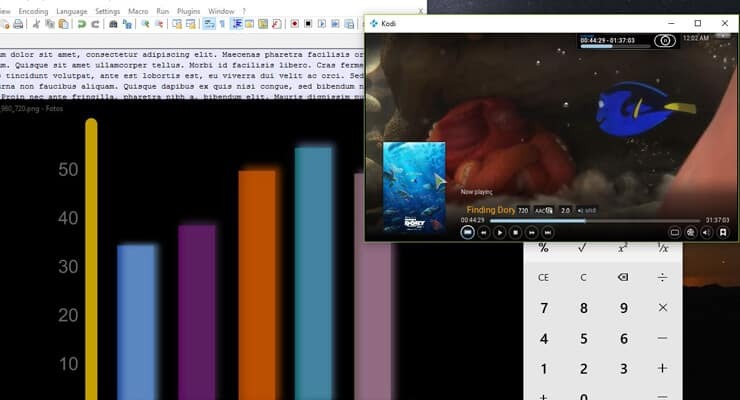 Here you want to make Kodi run windowed. 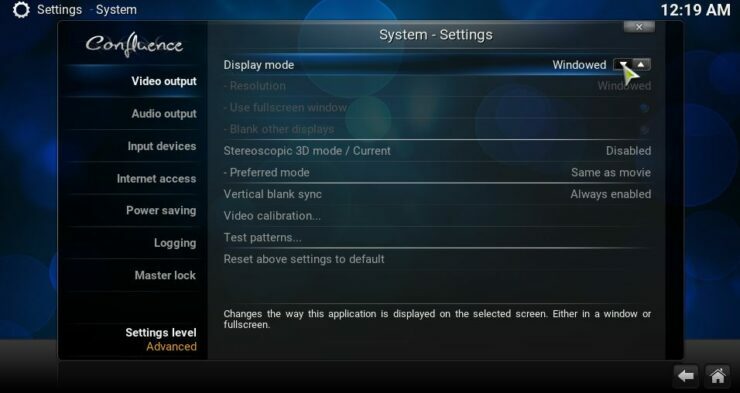 If Kodi is running fullscreen, it will make no sense for you to define always on top Kodi windows on the Kodi options. On the Display mode menu item, make sure Kodi is set to Windowed. Set Kodi to Windowed mode so the changes you will make will be visible later. 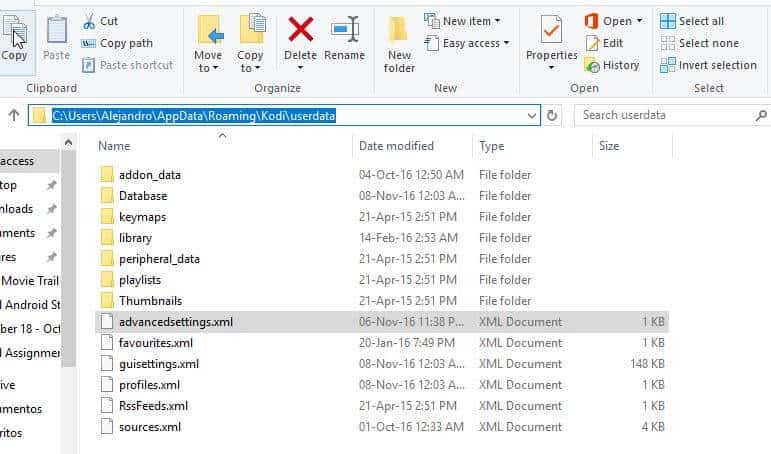 Find or create the file advancedsettings.xml on the userdata Kodi folder. Basically, the advancedsettings.xml file has to start and end with both <advancedsettings> tags (the closing one has an slash / symbol in front of the tag word, as seen in the example). This tells Kodi where the settings start and end. Somewhere between these tags, the property <alwaysontop> has to be set to yes, with opening and closing tags as well. It does not matter if you have other settings between the <advancedsettings> tabs, as long as <alwaysontop> has its own line, as shown in the example, and is not between any other tags.